Raise your hands if you thought John Juanda had disappeared from the poker world? We didn’t and that’s why we tracked him down for a chat soon after his latest big money win. 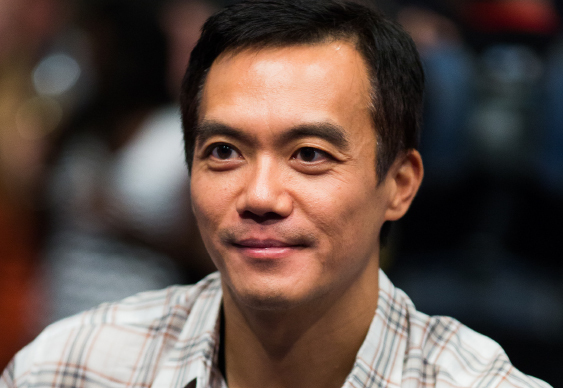 For those in the know, John Juanda has always been something of a prodigious talent at the poker table. Quiet and unassuming yet deadly when the mood takes him, Juanda has always been at the apex of the poker world; even if he’s not always in the public eye. That fact became plain once again in October of this year when Juanda returned from his public hiatus to clinch his first EPT title in Barcelona. An unflinching performance saw the high stakes pro overcome 1,693 entrants to claim trophy and $1,164,034 after beating England’s Steve Warburton heads-up. With the doubters silenced once again and his place at the top of the poker tree confirmed, we thought it was high time we caught up with Mr. Juanda and asked him a few questions. As ever he was a charming and eloquent, so sit back and find out why John Juanda is still one of the best in the business. “I don’t agree that I’m unreadable,” says John Juanda modestly when we put it to him that he is the most unblinking, serene and impenetrable creature ever to grace a poker table. And yet, while most people blink around 26 times per minute, Juanda seems to have narrowed down this particular automatic nerve reaction to about three times an hour, at the poker table at least. How does he do it, and more importantly how does he stop dust from gathering on the surface of his eyeballs? Wouldn’t you just love to know what his friend saw? Because as far as we’re concerned, this man could fool lie detectors, bamboozle FBI interrogators and outstare a rattlesnake, probably while taking a high-level Japanese proficiency test and riding a unicycle (see below). The new super-healthy, bulked-up Juanda has just won the EPT Barcelona Main Event, having not played a single hand of poker in exactly one year. In fact, the last time he played was, fittingly, at the EPT Barcelona of 2014. At one point, clad in a medical mask – his new thing, apparently – and nursing a short-stack that represented one third of the chips of his closest competitor, he refused to listen to talk of a chop. “And forfeit the chance for a million?” he declared incredulously. Just hours later he was crowned champion. “I was offered a chip count deal that supposedly rewarded the short stack,” says Juanda. “I was actually the shortest stack at the time so I probably should’ve taken the deal. But my thinking was that, with the chip situation – I had 4M and the other three players had at least 12M each – I expected they would play on the cautious side and first just try to outlast me. “Of course, none of those things actually happened, because I ended getting my money in with the worst of it and ended up tripling up,” he laughs. “I wish I could tell you that the win was a result of my amazing play, but the truth is that I just ran really good the whole tournament. “On Day 5, I was all in with Q-4 against a bigger stack with A-Q, and at the final table I was all in with KJ against two opponents who held A-K and 4-4. I ended up winning both of those hands. There he goes again, modest to a fault. Even his Twitter handle is the self-deprecating “LuckBoxJuanda.” But here is a man who has been quietly and unflinchingly crushing major poker tournaments since 1997. The win in Barcelona brings his lifetime tournament gross earnings to over $17 million, and puts him tenth on the all-time money list. But of course, the best players understand the amount of luck in tournament poker perfectly. It gives them a realistic awareness of the dynamics and nuances of the game rather than a dangerously inflated perception of their own abilities. And having played at the highest level for almost two decades, “LuckBox” Juanda still questions himself scrupulously and strives for improvement, hence his year-long sabbatical. This involved a recent brief flirtation with the Choice Center, the “personal development and leadership” program beloved of Daniel Negreanu and Antonio Esfandiari. “I was having problem retaining my focus,” he says. “For example, I’d play a 12-hour poker session where there wasn’t one single hand I wasn’t involved in that I could recall the action from post flop to the river. So instead, he concentrated on his fitness, with the help, naturally, of a series of prop bets. “Last year, during Christmas party, my good friend and I, after a few too many drinks, decided to bet good amount of money on pretty much everything that crossed our mind that night,” he says. His regime for those six months included, six days a week, running for one hour in the morning and then working out for one and a half hours in the gym in the evening. In between that, he also went to Japanese language school three and a half hours a day, five times a week, on top of private lessons of two hours a day. “It was the most grueling six months of my life, but I am glad I did it,” he says. The medical mask he now sports at the tables [you were wondering about that, right?] is a concession to Japanese culture and social consideration. Are you planning on playing the big games in Macau any time soon, we ask. Just as Juanda was settling in his new homeland, Black Friday and the Full Tilt scandal broke, briefly dragging his name through the mud. Juanda was a former part-owner of the company, albeit it one who had no say in its management and who had been stonewalled when he had criticized members of the board, particularly Ray Bitar. He felt deeply betrayed by the actions of Bitar, Howard Lederer and Chris Ferguson and particularly by Lederer’s subsequent attempt to spread the blame across Team Full Tilt. Juanda is only too aware of what Daniel Colman called the “ugly side of poker,” and retweeted Colman’s notorious twoplustwo post in which he claimed he didn’t “owe poker a single thing” after winning the Big One for One Drop and refusing all requests for interviews. “I can relate to Dan Colman’s point of view,” says Juanda. “I grew up in a third world country where most people can’t afford to see a doctor when they are sick, so when I was younger I dreamed of being a doctor so I could help these people. Despite this, he remains as enthused about the game as ever. Back in the early noughties a young Indonesian who had come to America to study business and had found a passion for poker, met Phil Ivey, Daniel Negreanu and Allen Cunningham, four young players making their way in the pre-boom demimonde that was the poker scene, where age and experience were usually the mark of the best players. It’s extraordinary that, today, these four players remain at the very pinnacle of poker achievement when so many have fallen by the wayside. “If you play poker for a living, sooner or later you are likely to have a bad run and having a close knit of poker playing friends, whose poker opinion you respect, can help you get out of the funk much quicker,” says John, of his relationship with “The Crew,” as they were known to some. “They can help you figure out if you have been unlucky for a long period of time or if you are actually playing badly.